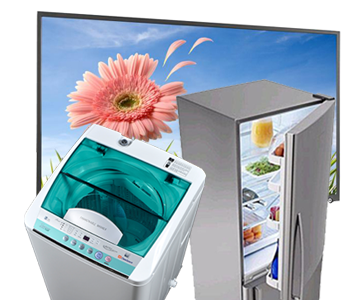 We offer an express Appliance Repair Service at your doorstep throughout the areas of Mumbai, Navi Mumbai and Thane Dist. Book your appointment now, for a time that works best for you or call us at 022-65500008. All of our expert and specialised service technicians are fully trained and qualified to give you the best repair service at affordable prices. We provide a prompt and efficient service to get life up and running again as quickly as possible. We offer FREE quotes and consultation over the phone, with no obligation for you to proceed. We have a great maintenance service as well to keep your machines in full working order so as to avoid those expensive repair costs. 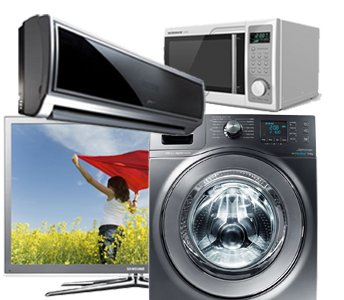 We are professionally qualified to repair all major and leading appliance brands. AN ISO 9001:2008 certified company, specialized in Refrigerator, Washing Machine, Microwave & Air Conditioner repair services. We save your time by coming out to you so you can get your appliance back to working order again as soon as possible, to keep you from getting stressed out. We offer a same day express service to all of our customers, with instant and free quotes over the phone. We will be at your service to get your machine running again.